As part of Jason and Laura’s Crowdrise Campaign to raise money for the family of fallen Georgia officer Anthony “TJ” Freeman (https://www.crowdrise.com/jason-and-lauras-team-blueline—racing-for-the-families-of-those-who-gave-all/fundraiser/jasonchance), TriCycle and Run is proud to present the HERO 5k Fun Run, to honor TJ’s sacrifice. In our community, we are surrounded by everyday heroes in police, firefighters and Emergency Medical Services. Our way of giving back to them is to make sure that we help the families of those who have given all. In a break from the norm, Jason and Laura are asking for a donation to go towards this cause. The amount can be anything that you choose and can be anything from $1.00 to $1,000!!! And we don’t want you to be put off by the $. If you simply don’t wish to donate, that’s ok. Still come out and run the race and have a great time. 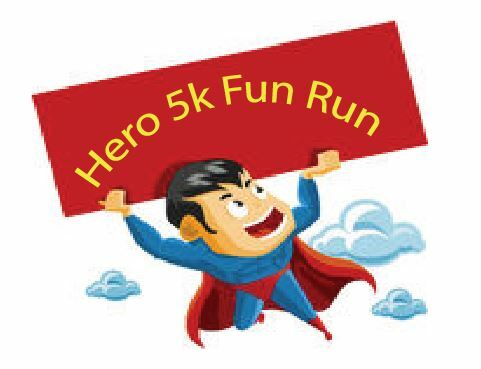 Now for the fun part…… not only is this an estimated time race where anyone who guesses their finish time within 10 seconds is a WINNER, but rumor has it that there are going to be some folks dressing up as THEIR FAVORITE HEROES!! Super heroes, real life heroes, any one that you like. Afterwards don’t forget to hit up our friends at Carpenter Street Saloon and Blackthorn Irish Pub for breakfast. And who could pass up $1 off from beers at Eastern Shore Brewing?!? Come one, come all. Like, Share, PROMOTE. Check out the cause that we are racing for and be sure to check out our team at http://www.teamblueline.org for more information on what we are doing!! Previous PostJason and Laura’s Team BlueLine Crowdrise CampaignNext PostHow do I change how I run?